The Desktop CPU market is currently the most exciting and competitive it has been in years. At the very high end Intel’s Skylake-X platform is duking it out with AMD’s Threadripper, both offering masses of cores and overall horsepower with radically different architectures and topologies. In the mainstream Ryzen shook things by bringing up to eight cores in a single socket, while Intel responded last year with Coffee Lake’s 6-core i7-8700K. A refresh of Ryzen to an improved process node in April of this year brings you up to date, with Intel’s seeking to land a decisive blow upon today’s new release. Yes, we’re returning this week to the very top of the mainstream desktop CPU segment this week with a review of the Intel 9th Generation Core i9-9900K. Only the second outing of their i9 branding, the intention is clearly to make a statement similar to the ‘Extreme Edition’ SKUs of yester-year: ‘this is the best you will see on this platform and in this segment, bar none’. For Intel this is no bluff; the CPU is by some margin the most complex they’ve brought to the mainstream desktop platform. It features eight cores, each supporting hyperthreading and hence sixteen independent threads, easily surpassing the 6/12 configuration of the i7-8700K and bringing it up to the raw count of the Ryzen 2700K. Where it clearly pulls ahead is the max turbo speed of 5GHz, the first mainstream retail CPU to offer this eye-watering figure. On paper at least the i9-9900K is a world-beater. This new CPU is part of the 9th generation line-up that currently consists of just two additional CPUs: the i7-9700K and i5-9600K. These offer 8 and 6 core configurations respectively, although neither support hyperthreading; as a result the 9700K should perform quite unlike other CPUs in Intel’s past range, while the 9600K is broadly similar to the i5-8600K (although some differences exist). Launching in tandem with the 9th generation CPUs is a new motherboard range, the Z390. Although the on-paper differences between Z390 and Z370 are few and far between – indeed both feature and LGA1151 and both 8th and 9th Gen. CPUs are supported on either – it’s expected that Z390 will incorporate more robust power delivery in the main to better support the requirements of the new behemoth. If you’re assembling a new system there’s no reason not to opt for Z390 over Z370, especially as motherboard manufacturers are launching extensive ranges’ from entry-level to bleeding edge, but in-place upgrades can also be made too. That sounds great, but there is an elephant in the room: the price. 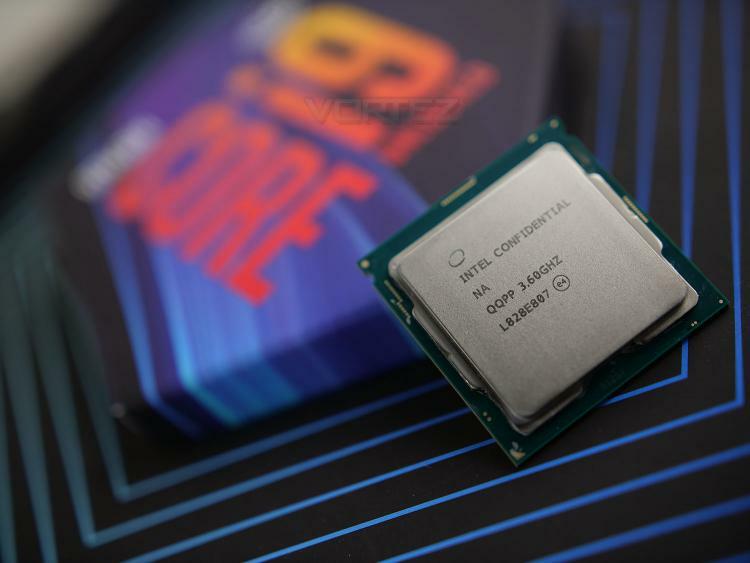 The Core i9-9900K has an MSRP of £599 inc. V.A.T. in the UK, $529 in the US and $859 AUD in Australia. That’s £140 more than the current price of the 8700K, £300 more than the AMD Ryzen 2700X (following price drops this week), and on par with similar HEDT Skylake-X models. In short, the i9-9900K needs to be exceptional.